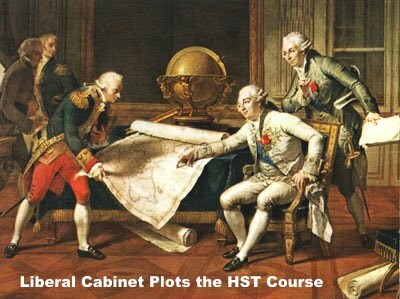 Jack Mintz, former head of the CD Howe Institute – Ontario’s version of the Fraser Institute – was hired by Gordon Campbell to consider the subject deeply and give an independent and unbiased report supporting HST for British Columbia. This long time business apparatchik, champion of business tax reductions, privatization, free trade and globalization, opponent of public pensions and social programs, considered the subject deeply and gave an independent and unbiased report supporting HST for British Columbia. He also gave British Columbia a large invoice for this independent and unbiased report. Thank you sir for telling us what is good for business. We did know that before though. BC Liberals make that certain. By the way, Mr. Mintz, with business being enriched with provincial taxes no longer paid, can we afford to lift the ten year freeze on minimum wage? Too soon, perhaps? NDP economist David Schreck provides a useful analysis of the Mintz conjectures at Strategic Thoughts. Paul Willcocks at Paying Attention adds his succinct analysis of this report. The Tyee has a priceless editorial drawing titled Liberal Messaging. Norman,I am glad you reported the story,I have some additional information on Jack Mintz over at my place. Jack Mintz has done a flip flop onthe HST. Jack Mintz said in 2008,HST will cost Ontario 38,000 jobs,Job losses for 5 years. Any wage increases offset by higher consumer goods and services,10 year simulation,negligible impact on jobs after 10 years,Talk to you later. Why did Campbell have to go out of Province to find someone to inform us of what is good for us? Was there not ONE fartcatcher in Western Canada that could have been bought with OUR money, to convey our Provincial Governments lies?